Epidolex, the first FDA-approved cannabis-based medication, is now available via prescription in all US states. Epidolex, the first FDA-approved cannabis-based medication, is now available via prescription in all US states. Produced by GW Pharmaceuticals, the drug received approval by the US Food and Drug Administration (FDA) in June, followed by a narrow rescheduling by the US Drug Enforcement Administration (DEA), which categorized Epidolex as a Schedule V drug on the Controlled Substances Act (CSA). Epidiolex utilizes cannabidiol (CBD), a non-psychoactive cannabinoid found in the Cannabis sativa L. plant, as its active ingredient. “Marihuana” will continue to be listed as a Schedule I substance on the CSA. 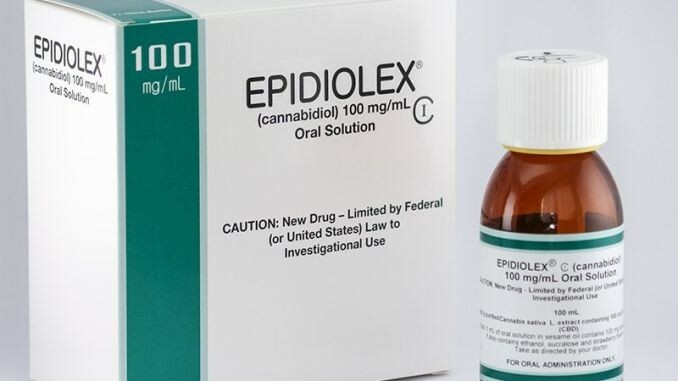 Epidiolex is approved for the treatment of two rare epileptic seizure disorders (Dravet syndrome and Lennox-Gestaut syndrome, both of which appear in early childhood), but can also be prescribed “off-label” for other medical conditions as determined by a doctor. According to the US Department of Health and Human Services Agency for Healthcare Research and Quality, 1 in 5 prescriptions written in the US today are for off-label use. The price of Epidiolex has been set at roughly $32,500 annually. GW Pharmaceuticals spokesperson Stephen Schultz told Endpoints News, “Based on anticipated dosing and patient weight assumptions, we believe that this translates to a weighted average gross price in the first year of $32,500, which is in line with other branded anti-epileptic drugs used to treat these conditions.” He also told the publication that GW Pharmaceuticals is developing a patient support program to help lower out-of-pocket costs or to potentially provide Epidiolex free to eligible patients.